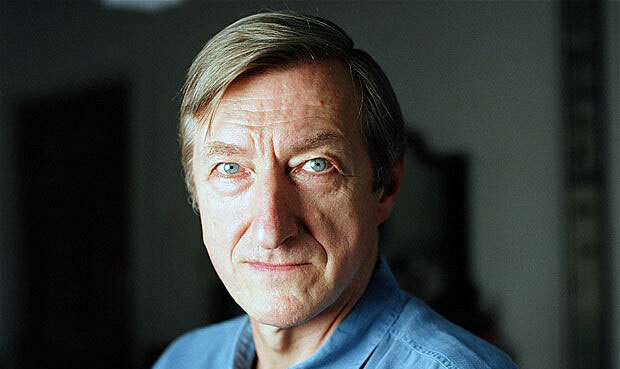 Julian Barnes, one of the greatest contemporary English writers was born on January 19, 1946 in Leicester, England. Six week after birth, his family moved to outer suburbs of London where he studied at the City of London School (1957 to 1964). Then at Magdalen College (Oxford), he graduated in modern languages with honors in 1968. After completing his graduation he got hired as a lexicographer at Oxford English Dictionary for their supplement and worked with them for three years. Later on, he worked as reviewer and also as a literary editor for British political magazine, “The New Statesman” and the “New Review”. He then began working as a television critic with “The New Statesman” as well as with newspaper “The Observer”. Barnes has been very a creative and challenging writer. He wrote his first novel “Metroland” for which he won Somerset Award in 1981. Barnes’s breakthrough novel Flaubert’s Parrot won him two exclusive awards Geoffrey Memorial Prize (1985) and Prix Médicis (1986). He has been the name behind some very fine contributions to European literature for which he has earned numerous awards. He also translated a French book by author Alphonse Daudet as well as Volker Kriegel’s collection of German cartoons. From 1986 to 1988 he won E. M. Forster Award (American Academy and Institute of Arts and Letters), Gutenberg Prize, Grinzane Prize (Italy) each year respectively. He has been made Chevalier de l’Ordre des Arts et des Lettres in 1988, Officier de l’Ordre des Arts et des Lettres in 1995 and Commandeur de l’Ordre des Arts et des Lettres in 2004 by the French Minister of Culture. In 1991 he published “Talking It Over” which earned him Prix Femina in 1992 making him the only English writer who has won two awards in France. In addition to the above, he won the Shakespeare Prize from FVS Foundation in 1993 and the Austrian State Prize (European Literature) in 2004. Then in 2011 he got the David Cohen Prize for his services to literature. Along with all the above mentioned work, Barnes earned the reputation of a very fine crime fiction writer with the pen name “Dan Kavanagh”. He wrote four crime novels titled as: Duffy -1980; Fiddle City-1981; Putting the Boot In (1985); Going to the Dogs -1987. All four novels were well received by the crime fiction lovers. Julian Barnes’s latest successful novel, “The Sense of an Ending” finally made won him “Man Booker Prize” in 2011 after being shortlisted for his three renowned novels in previous years (Flaubert’s Parrot 1984, England, England 1998, and Arthur & George 2005). His other well know works include “Staring at the Sun”, “A History of the World in 10½ Chapters” and “Cross Channel” to name a few. Julian Barnes had the family who were highly dedicated to literature services. Both his parents were French teachers. His elder brother Jonathan Barnes is a philosopher specializing in ancient philosophy. His wife Pat Kavanagh was a British literary agent until her death on 20 October 2008. Barnes now lives in London. The author has earned himself extensive fame and respect because of the nature of his writing dealing with history, truth and love.